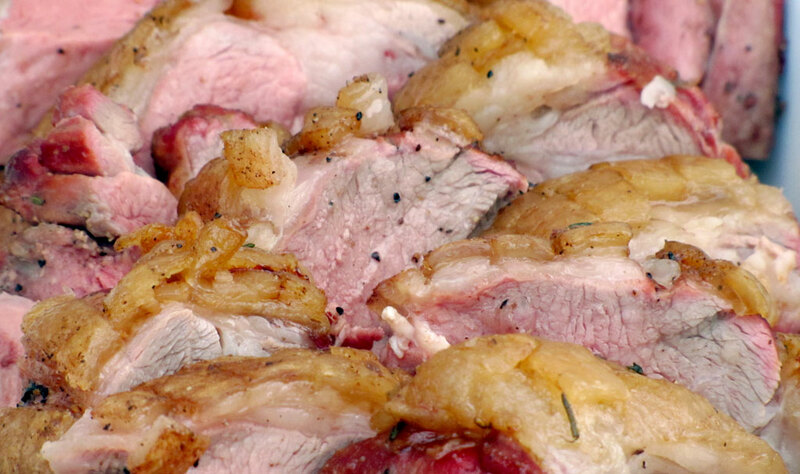 Video Recipe - Roast lamb in the oven, or grilled in Weber grill. It is not very difficult to roast a whole lamb. Neither the oven or grill. In turn, arouses the always enthusiastic to wear such a large piece of meat on the table and cut it up there. Get the butcher to cut the ribs on the back of the roast from the spine, or do it yourself with a good long saw. A wood saw is fine but a butchers saw or a hacksaw works best. This makes it easier to cut out the chops when it is done. Avoid cutting into the meat as much as possible. Score the back fat in ½ inch squares with a sharp knife. Sprinkle generously with salt, pepper and season with the fresh rosemary, thyme and garlic. 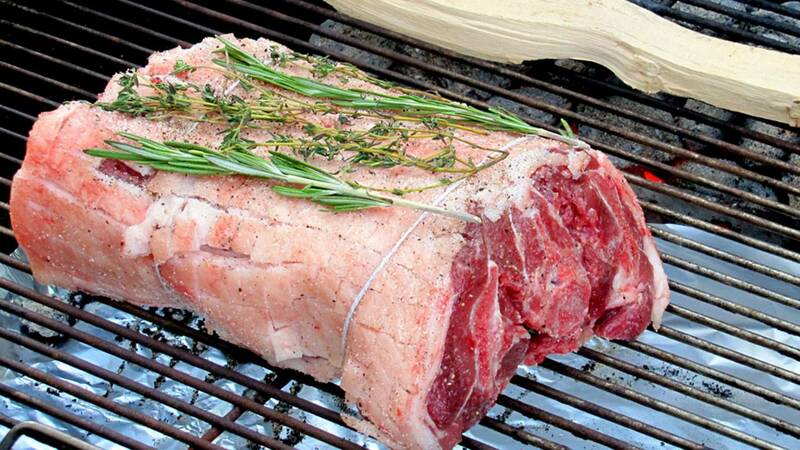 Press a few cloves of garlic and some sprigs of fresh rosemary behind the sawn ribs. Bake at a moderate heat, 150ºC (300ºF) for about 1½ hours depending on the thickness. Stop when the meat's internal temperature reaches 55ºC-57ºC (131ºF-135ºF). Personally, I prefer 55ºC (131ºF). There are many who think that is too rare, so you can give it a bit more, but above 60ºC (140ºF), I would not recommend. Grilling with a kettle barbecue or gas grill. If you use just one coal basket it corresponds approximately to 170ºC (340ºF) in a 57 cm (22.5 inch) Weber grill. The rack of Lamb should will need about 1 hour and 15 minutes. Add a log of beech wood, or other hardwoods on the grill over the coals so that it heats up the wood. It gives a good smokey flavor.